130AC Description The Access 130 AC car audio kit produces very good results in your car’s original speaker fitting locations. This means you benefit from Focal sound in a most impressive value-for-money package. 130AC Features Max. Power: 100 Watts Nom. 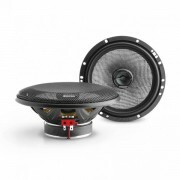 Power: 50 Watts RMS ..
165AC Description The Access 165 AC car audio kit produces very good results in your car’s original speaker fitting locations. This means you benefit from Focal sound in a most impressive value-for-money package. 165AC Features Max. Power: 120 Watts Nom. 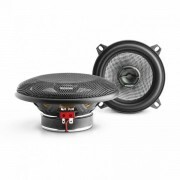 Power: 60 Watts RMS Woof..
130RC Description HI-EFFICIENCY 2 Ohm SPEAKER SYSTEM 2 WAYS, 130 MM (5.25”) WOOFER 130 mm (5.25”) coaxial integrated 6 dB/oct cross-over 130 mm (5.25”) woofer featuring a high-quality coated cellulose pulp membrane, combined with peripheral butyl suspension. The generous size..
PC130F Description This coaxial kit is the ideal solution for rear speaker drivers for vehicles equipped with Flax component kits in the front (PS 165F, PS 165FX, PS 165F3 or PS 130F). Indeed, many vehicles only have one location in the rear for a wideband coaxial speaker driver. The PC 165F can ..